Here is another teacher appreciation gift. Just a little something. I used a tutorial from Dawn G. over at Dawns Stamping Thoughts. She has a ton of tutorials. 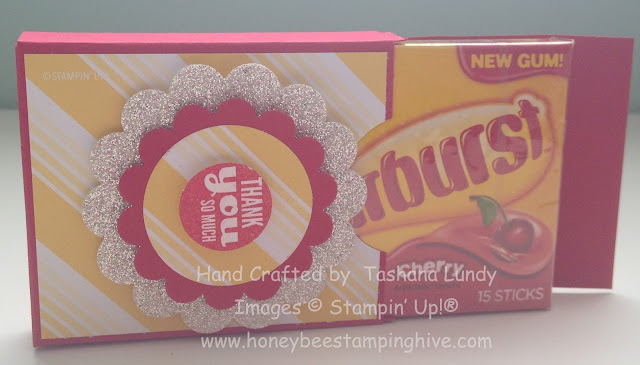 The sentiment on this box is from Starburst Sayings, a retired stamp set. I used a couple of Circle and Circle Scallop punches to decorate.